We can say that the two figures are congruent, if one can be obtained from the other by a sequence of translations, reflections, and rotations. Congruent figures have the same size and shape. When we are told that two figures are congruent, there must be a sequence of translations, reflections, and/or rotations that transforms one into the other. 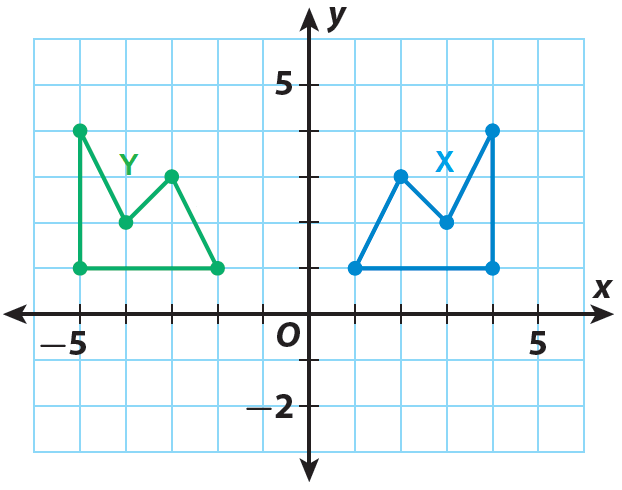 Identify a sequence of transformations that will transform figure X into figure Y. Identify a sequence of transformations that will transform figure A into figure B. 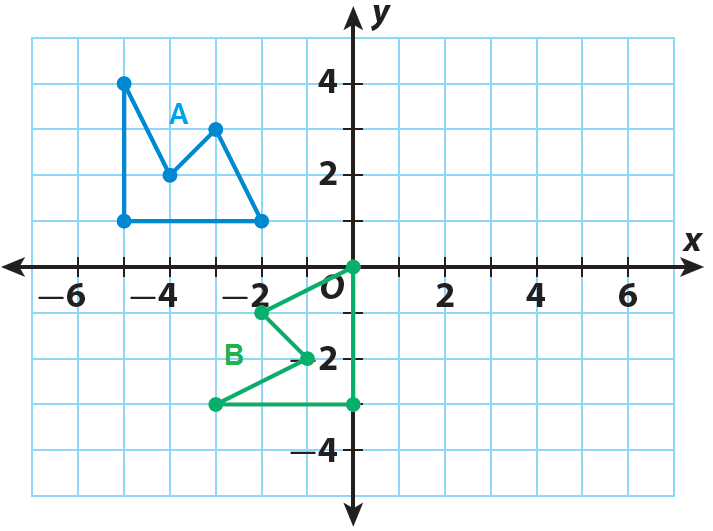 Identify a sequence of transformations that will transform figure P into figure Q. 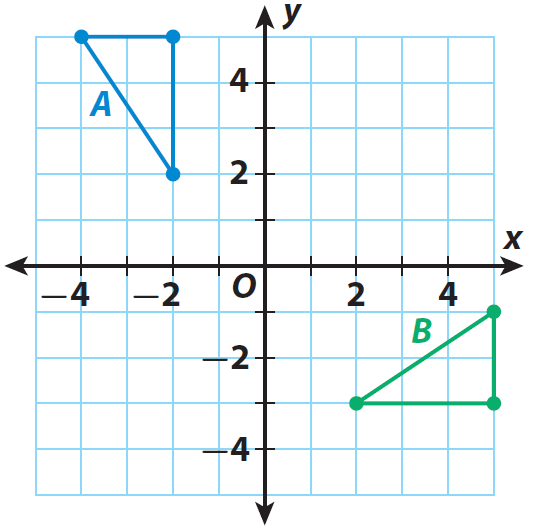 Any sequence of transformations that changes figure A into figure B will need to include a rotation. A 90° counterclockwise rotation about the origin would properly orient figure A, but not locate it in the same position as figure B. The rotated figure would be 2 units below and 1 unit to the left of where figure B is. We would need to translate the rotated figure up 2 units and right 1 unit. 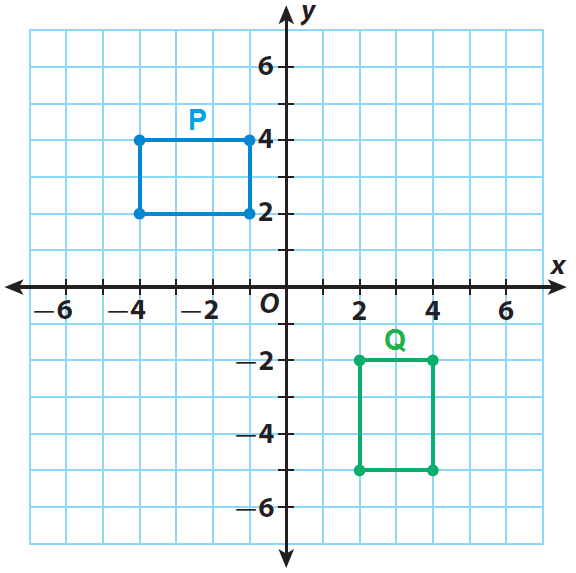 A sequence of transformations that changes figure P to figure Q will need to include a rotation. A 90º clockwise rotation around the origin would result in the figure being oriented as figure Q. However, the rotated figure would be 6 units above where figure Q is. We would need to translate the rotated figure down 6 units. Rotation 90° clockwise about origin, translation 5 units down. After having gone through the stuff given above, we hope that the students would have understood "Congruent figures"